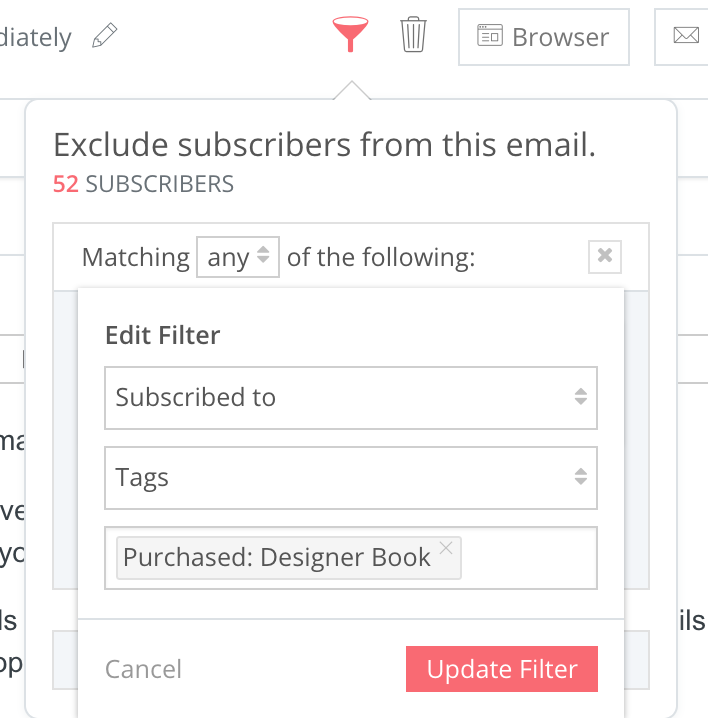 Filters are used to keep certain Subscribers OUT of your Sequence emails. They are not how you add people to a Sequence—meaning they don't filter people in. If you're looking how to ADD people to a Sequence check this out! 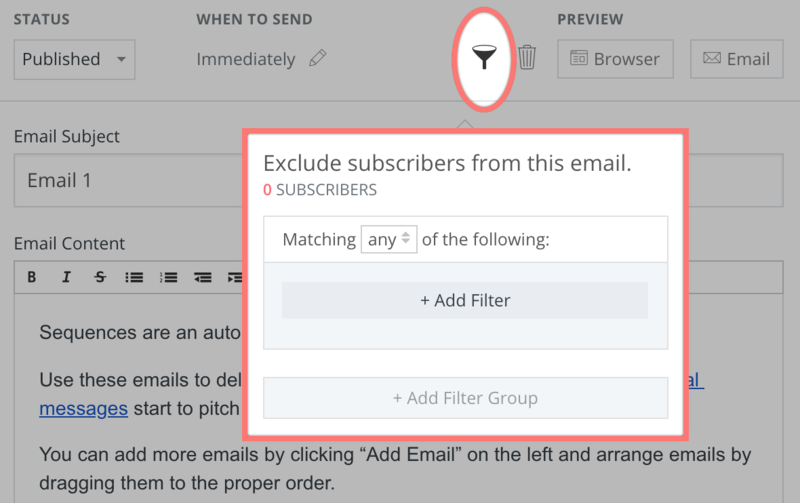 You can add a filter to each individual email in your Sequences, making it super easy to filter out certain Subscribers from specific messages. Now you can really step up your marketing game! Just add the filter and you're all set. You can do this for any Sequence email individually! ConvertKit Hint: Remember, this is EXCLUDING, rather than including Subscribers. If you want to include a Segment of Subscribers, be sure to to add that Segment to this Sequence using Bulk Actions.